Have Ewe Any Wool? : Snowflake Socks - Finished! All right! Last Wednesdy, I finished a pair of socks for "someone" that had complained that I had not yet knitted her a pair of socks....and she noted that everyone else in the family has at least one pair. Hopefully this pair will remedy that situation! I hope she likes them! 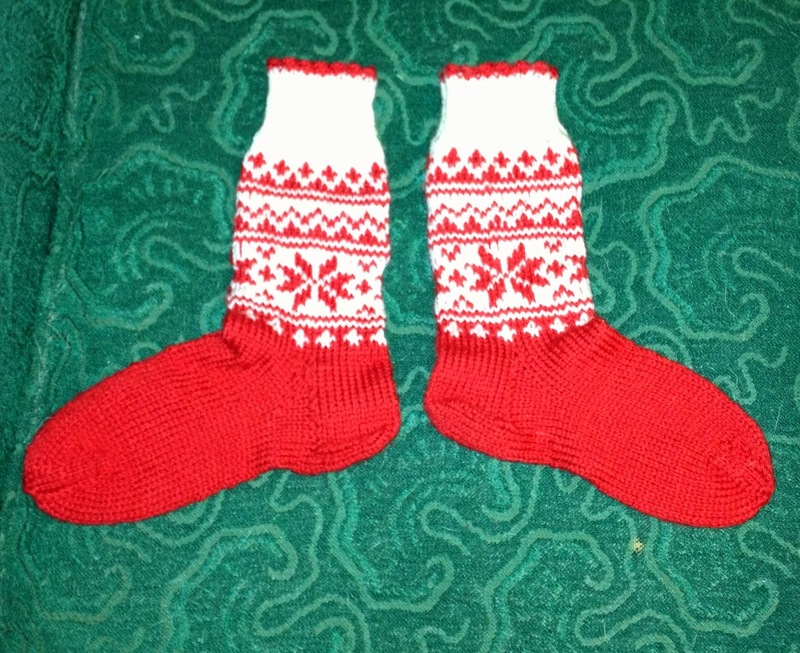 These were made from Cascade Sport Weight Superwash yarn on size 4 needles, so they knit up fairly quickly. These socks are for lounging around, watching TV....not really for wearing in shoes. 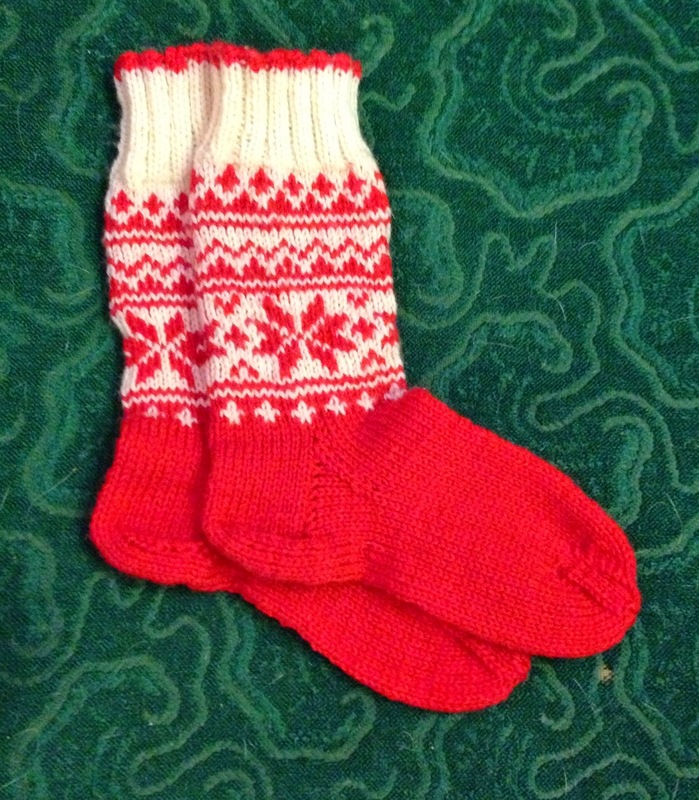 I used the sock pattern that came in the Drops Advent Calendar this year. Their pattern uses k 2 together through the back loop instead of an SSK on the gusset decreases and toe decreases. I used their method for the heel....but found I didn't like it as much as the SSK, so I stuck with the SSK for the toe decreases. It's a great little pattern. One thing I need to learn, but didn't with this project, is how to do "jog-less" stripes. Since the sock is knitted in the round, it's essentially a "spiral", so the pattern does not exactly line up where it's joined in the round and so what you see are stripes that don't quite match up. (I didn't show the misalignment here....I wanted to show the "good sides" of the socks. I did manage to knit them so that the "unaligned" sections can be worn to the inside.....and if you look at the outsides of the socks....all looks good. Once I've mastered at least one of the techniques for "jog-less" stripes....I'll be sure to post "before" and "after" photos of my progress.